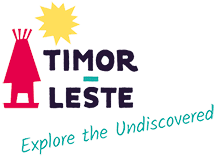 Timor Unearthed is a Timorese company providing professional tours for adventurous travellers throughout Timor-Leste. Our tours provide a once in a lifetime, off-the-beaten-track experience to explore the hidden treasures of Timor-Leste and be immersed in a culture unlike any other. Experience an unforgettable homestay with local families, snorkel the world's most bio-diverse marine environments, hike Timor-Leste's highest peak - Mt Ramelau, and gain an understanding of the country’s past with a team of experienced Timorese and Australian guides and support crew. We cover all the planning and logistics of travelling to remote areas to allow you to fully embrace the adventure and make the most of your experience!